The LIGHTHOUSE album series has been prepared with so much expert knowledge and attention to detail, hence material and production must be of a high quality. With a large choice of over 140 collection areas and editorial philatelic processing by our specialized editorial office, LIGHTHOUSE pre-printed albums satisfy even the demands of experienced and competent philatelists. For instance, particular features are indicated on the respective album page for stamps of the same type which differ as regards e.g. color, perforation or printing process. This also includes, where necessary catalogue numbers and years. This labeling can be next to or underneath the SF mount; the latter being used where the stamp has been inserted, depending on what type of information is given. In this respect, we always make sure that the overall picture retains its harmony and beauty. LIGHTHOUSE prints its album pages (format 10 ¾ x 11 ¾” / 270 x 297 mm) on no-ageing wood-free and acid-free card in black and white offset printing, paying great attention to detail. We took the conscious decision not to print in color. This serves as a guideline as to which stamps are still missing in your collection. The SF protective mounts, free of chemical-free softeners and with a clear non-reflection film the same size as the pre-printed stamps, are stuck onto the album card. These hold the stamp in place and prevent them from getting stuck. At the same time, they offer ideal protection against dust and dampness. Of course, the LIGHTHOUSE pre-printed album pages are also available without the SF protective mounts in the so-called” Normal” edition. LIGHTHOUSE binders come with different mechanisms and designs, so you can decide which storage style best suits your purpose. Here, too, quality and a great love for detail are at the forefront of our objectives. 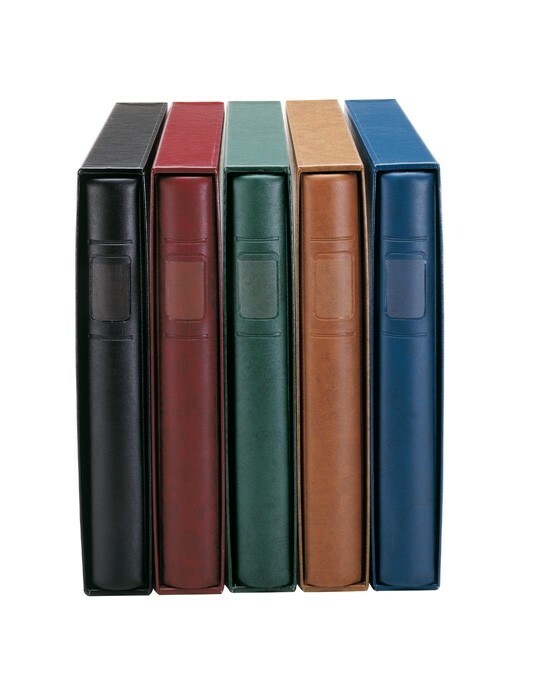 Hence LIGHTHOUSE binders, with their high-quality and robust covers with gold embossing, are often a long-term companion for any collector.